Greg entered the Real Estate industry in 1986 and has experienced all real estate markets. These years of experience allows him to pass the best professional advice onto clients when it comes to buying, selling, developing, investing or renting real estate. He is the Managing Director of Harcourts Property People, taking his office to new levels of achievement in the industry along with the long term support of his dedicated sales team. The strength of the Harcourts brand name and being part of a team that is one of the top five performing offices within the Harcourts group allows all potential clients the assurance of always dealing with an industry leader. Greg is recognised by his fellow industry peers as one of the top 10 sales performers in the Harcourts group 2010 / 2011 and No1 Auction lister 2010/2011. He has a strong client focus and maintains the No1 profile marketing position in two local papers, the Weekly Times and Port-Side messenger papers, in addition holding the No1 position in the Saturday Advertiser. Greg has the knowledge and experience to guide you through each process, allowing your real estate experience to be one of empowerment and control whilst always having the assurance of knowing you are in safe hands, every step of the way. Carlo boasts over 18 years of local real estate knowledge and experience. He is a market leader who offers his clients sound advice when looking to buy, sell, invest or develop. Carlo is a motivated individual with a positive attitude and strong work ethics, this enthusiasm assists his clients to achieve outstanding results. His most favourable aspect of the position is the interaction with people on a day to day basis. He feels a great sense of achievement assisting individuals to attain remarkable returns on the sale of their properties through hard work, expertise, persistence and a strong market brand name. Carlo is dedicated to achieving his client’s maximum return on their properties. He enjoys negotiating and closing a sale whilst exceeding his vendor’s expectations. Carlo’s strict attention to detail goes a long way to ensuring satisfying results for his customers. Having achieved numerous awards over the past 8 years whilst employed with Harcourts Property People for significant sales performance, you can be assured that attitude to selling & achieving top results for his clients is a priority. Harcourts Property People boasts a team of individuals with a combined 100 years of experience. When choosing an agent your decision should be based on experience and profile, knowing they are proven performers. Carlo enjoys working under the Harcourts Umbrella with some combined 40 offices throughout SA they are leaders in every area in which they operate. Carolyn entered the real estate market with a strong sales and marketing background. As a member of the Australian Marketing Institute with extensive marketing and advertising studies, Carolyn completed Business Management Studies and took up the position of The State Manager of an American Distribution Company. As State Manager for a International Relocation Company, Carolyn developed a strong reputation as a person who could be trusted to always act with care, with integrity and with a solid commitment to her clients to get them the best property possible to suit their needs with her sound knowledge of the Adelaide property market "It was my satisfied clients who enticed me into the Real Estate Market ... they were so right ... I absolutely love it!" The reason for Carolyn's success can be attributed to the fact that she strives to develop long-term rewarding relationships with all her clients and values the referrals she receives from them. She has made a name for herself for going above and beyond to help her clients meet their goals. With an in-depth knowledge of the local market and a can-do attitude, Carolyn guides her clients to success when it comes to one of the most important investments: their homes. Serving her clients’ needs during this important time is an opportunity Carolyn considers a privilege and a pleasure. Carolyn Neal brings her positive energy and zest for life to her career as a Harcourts Real Estate professional. Dedicated to achieving her clients’ goals, Carolyn’s clear focus and can-do attitude make you Destined for Success in all your home buying or selling requirements. Danielle has worked in an administrative role for some four years prior to commencing at Harcourts Property People. She enjoys the variety admin positions offer hence her enthusiasm toward her current position which encompasses all things Real Estate. Danielle brings job diversity to her role with her ability to adapt to and undertake differing roles within Harcourts Property People. Danielle is undertaking a Bachelor of Business (Property) and is in her final year of study at the University of South Australia. Juggling study with employment takes organisation and dedication, two attributes that render her a focused individual with drive and passion to succeed. Her fascinations in all aspects of property have been of great interest to Danielle from a young age, especially property development. We are confident that your interactions with Danielle, be it in person or over the phone, will be her outcome focused approach to ensuring your satisfaction. George Kouzionis began his real estate career in 1992 and has worked for the same company since that time, proof of his beliefs in loyalty and perseverance. He is extremely proficient in all manners of sale, especially the auction method. A licensed land agent, George is also one of Harcourts leading auctioneers. With the backing of the most successful real estate agency Harcourts, he is able to offer his clients the very best marketing tools and systems to expose each property to the widest possible market in order to obtain the very best price in the shortest time. George expects every property to receive the highest level of attention, from vacant land, single units & courtyard homes to the larger, more prominent homes in the higher price ranges. A testament to the longevity of his real estate career is the constant and high number of referrals he receives from his past clients who do not hesitate to enlist his proven, trusted and dedicated approach to selling their most valuable asset. Working from one of the top performing offices in the Harcourts Group, George, at Harcourts Property People, continually receives awards each quarter for his sales performances. George is the number 2 Auction Lister in the Harcourts Group and in the top 50 sales consultants in South Australia for 2016/17 and has been named numerous times as one of the Top 10 Sales Consultants. Prior to entering the residential real estate industry, Stephen undertook an extensive career within the commercial building market holding the position of in state manager for a high end national commercial interiors company. Stephen also held the position of senior sales roles and team leader roles for a number of local interior companies. Stephen possesses valuable experience within the new homes market, encompassing a wide range of industry knowledge as well as a broad range of successful marketing and sales skills. With his “can do” attitude and a focus on customer service, Stephen strives for excellence and is always willing to do what it takes to exceed customers’ expectations and get the job done. Whilst Stephen’s primary role within Harcourts Property People is in the area of Sales Consultant, he carries this expertise into the role of Property Appraisal Consultant. Appraising potential Landlords homes to ascertain its potential weekly rental return is a skill that requires knowledge of the current property market. Stephen has the knowledge and experience required to work cohesively between both roles hence maximising potential landlord’s knowledge of the ever changing property market. 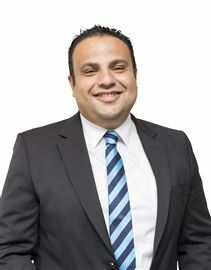 We welcome Wally Aramnios to Harcourts Property People as a Real Estate Sales Consultant. Wally has extensive experience in sales, marketing and a strong focus in the area of customer service. A keen property investor Wally is passionate for all things real estate. Harcourts Property People and Wally are a great mix, as the values he holds true to his heart complement those adhered to under the Harcourts banner, and our mission is to create clients for life! Wally is self-motivated, passionate, has positive energy and he is focused and responsible. These attributes are some of the main strengths in Wally's personality leading him to success. Wally previously worked in a multi-national company called MEPHA SWISS. Always achieving excellent sales performance and reaching his sales targets and often well above his required target. Wally achieved awards as the best medical sales representative among his peers on numerous occasions; these sales results established him as a leader in his field. His background in the hospitality industry as a motel guest service agent for a period of three years enabled Wally to develop skills in the area of client expectation. Wally understands the importance of getting things right no matter how big or small, his focus on attention to detail results in customers having a good experience. Wally is multi lingual; therefore he possesses a good understanding of cultural diversity and backgrounds. He has a love of music, football and soccer and living locally, in the Western suburbs, he appreciates the diverse property differences with traditional homes on quarter acres blocks to the apartment way of living. The wide variety of home styles comes along with a wide variety of client needs. Wally has an Egyptian background and possesses a passion for food and the desire to mix with all cultures enabling him to seek new experiences. He reiterates that food allows him to explore, not just taste experience. Wally is married and considers the values and importance of family a key part of who he is. Azeb graduated from the University of South Australia in March 2010 with a Bachelor of Commerce major in Accounting. 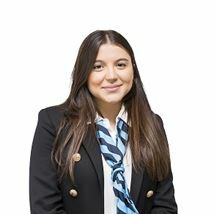 Whilst studying she worked as an interpreter with the Interpreting & Translating Centre (ITC) and also held a position as Accounts Clerk with Fine Choice Distribution Pty Ltd, the Largest South Australian Coffee Equipment Supplier. Her ability to work autonomously and in a team environment is highly commended and her attention to detail is demonstrated by her commitment to outcome focused resolutions. Her position is one of extreme importance as it entails the receiving and distributing of client funds along with the other many and varied tasks also tied to the Accounts payable clerk position. Azeb approaches her position with professionalism and honesty and she is a pleasant and approachable individual who will assist you with all of your account queries. Azeb is multi lingual, speaking 3 languages other than English fluently, these include; Amharic, Tigrigna & Arabic. Friendly, focused and dedicated to provide our clients with detailed accounts queries information, Azeb is a capable individual who adds value to an existing outcome driven team of individuals who make up our dedicated Property Management team. Managing her own investment property for some 15 years, and having a desire to expand her property portfolio, Heather completed the Real Estate Training College (RETC) certificate in Property Management. Heather demonstrates enthusiasm in her role as a Property Manager and a readiness to approach situations head on to ensure a positive resolution. She understands the importance of good communication and transparency and her primary objective is to minimise the landlord’s expenditure wherever possible. Your needs are simple, you want regular income without the hassle? Heather has the knowhow, drive and determination to manage your property portfolio and make this happen. Whilst Heather is taking care of business and achieving her passion, you can spend time doing the things you’re passionate about. If I were to define Heather in one word, it would be conscientious. Her willingness to perform well in her role is admirable and this transfers to whatever task assigned to her. 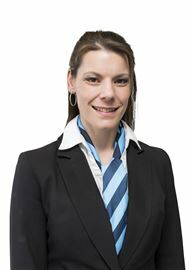 Samantha joins our team at Harcourts Property People with many years’ experience in the field of Property Management. Originally from the UK, Samantha migrated to Australia some 5 years ago with her husband and 5 children and have recently built their first Australian home. She owns her own investment property, which enables her to relate and understand landlord’s expectations. Samantha is fully aware of the importance of obtaining good tenants and how important ongoing communication and follow-up is. Samantha knows the importance of good customer service skills and this is never more evident than when she is liaising with Landlords and tenants and mediating with additional service providers, such as contractors. Possessing good organisational skills and utilising them in an efficient manner is an important part of being a proficient Property Manager. Samantha’s professionalism and client focus mirrors our company values. Samantha recognises the benefits of going that extra mile and she demonstrates a high standard of dedication to the task at hand. She displays good communication skills and possesses an understanding to the needs of both landlords and tenants to make the experience with our company a favourable if not memorable one. Samantha feels that Harcourts Property People have given her the opportunity to further develop her knowledge in the area of Property Management and turn her passion into a career within the Real Estate Industry. In her spare time Samantha enjoys spending time with her growing family and friends, she also enjoys walking along the beach and travelling with her family. Vemerka is the incumbent in the role of senior accounts clerk. She assumed this role due to her extensive knowledge and her commitment to Harcourts Property People company values and her ability to work within this framework efficiently and effectively. Her role plays an integral part of the Harcourts team structure. Vemerka is a very friendly & approachable individual who will complete any task assigned to her with confidence and professionalism beyond your expectations. Vemerka will always approach any situation with the best possible outcomes in mind. 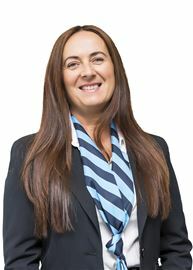 Before joining the Harcourts team, Vemerka had worked in the Health Care industry, where her communication skills were a great asset to her development. Vemerka worked with 5 coordinators and over 400 clients. Vemerka speaks fluent Croatian; she has 4 children and 2 dogs! In her busy life Vemerka takes daily runs on the beach and teaches weekly Croatian dance classes. Vemerka is an integral link in the chain to our engine room here at Harcourts Property People. Sold at In Room Auction! Solid brick unit, great value! Sold @ In room auction! "The Best Little First House"
8 mins walk to the Beach! Sharp, Smart and Brand New! Imagine Your Name On The Door!